January has been a very productive and exciting month for the City of Miami Beach. I was pleased to see the healthy turnout I had for my first official Power Walk and Talk earlier this month. It was a wonderful night of great conversations and suggestions from residents right before the January Commission meeting. I plan to host one every month before the City Commission with a different topic of the month at different locations. The next Power Walk and Talk is tentatively set for Monday, February 11th at 6 pm. Save the date and stay tuned for details to follow. At the January 16th Commission meeting, the hot topic on the agenda was a referral to the Land Use and Development Committee about amending the definition of entertainment to include performances conducted at a volume that does not interfere with normal conversation. The referral passed 5 – 1 with mine being the lone dissenting vote. While I am a big supporter of our businesses and entertainment, I am concerned that allowing nearly 800 new establishments to have entertainment performances would be difficult, if not impossible, to adequately police to preserve residential quality life. On a lighter note, I am pleased to announce that the Commission unanimously approved my agenda item for Miami Beach to become a compassionate city. 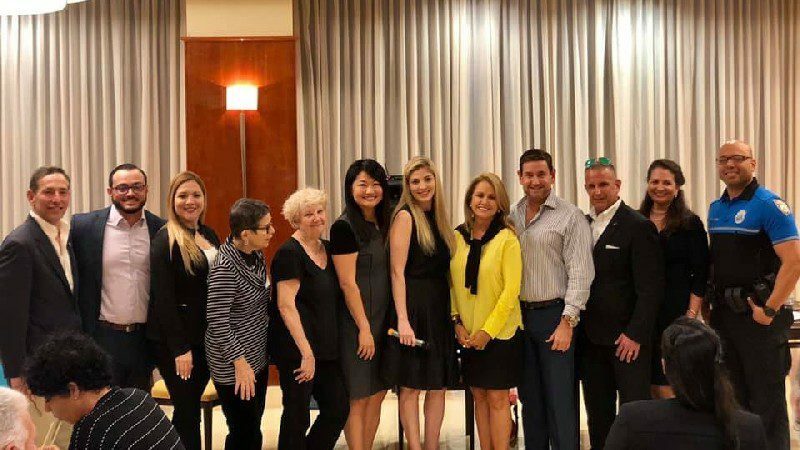 The Charter for Compassion will go hand in hand with Miami Beach’s commitment to also be a City of Kindness that was done in March of 2017 and sponsored by Commissioner Micky Steinberg. Below please find the City of Miami Beach press release explaining more about this. Mayor Gelber also announced his 2019 commission committee assignments (see chart below). Besides serving as Vice Mayor, I will now serve as Vice Chair of the Neighborhood/Community Affairs Committee and serve as Vice Chair for the Finance and Citywide Projects Committee. I am excited to continue to serve the residents of Miami Beach in these additional roles. It will be the first time that I was not appointed to continue serving on the Land Use Committee. As one of the very few Florida attorneys who is board certified by the Florida Bar in Condominium & Planned Development Law, this was rather unexpected, however, as your Commissioner I will continue to remain involved to avoid unfettered overdevelopment. I will also continue to keep you, the residents, informed as to what is happening in our city. Last but not least, I am pleased to welcome back Commissioner Joy Malakoff to the Miami Beach Commission! I know you will be an asset to the Commission and thank you for agreeing to serve for the remainder term. The Commission voted for her at our January 23rd Commission meeting. I was pleased to see so many well-qualified candidates that applied for the position and encourage you all to stay involved even if you were not selected today. Remember there are elections in November of every odd year including this one. Stay informed and remain involved. PS: Happy Belated 70th Birthday to my father Alberto! Thank you for your love and support! 1st Power Walk with Vice Mayor Michael Gongora on the Newly Constructed Beachwalk was a huge success! A: You are correct that this change in the law for homeowners associations became effective on July 1, 2018. This change brought the Homeowners Association Act in line with the requirements contained in the Condominium Act and the Cooperative Act and was probably a restatement of the law on the topic anyway. The law does not prohibit Board Members from communicating via e-mail, and specifically notes that e-mail communication between Board members is permitted. The law does not say whether these internal Board e-mails are part of the “official records” of the Association, which remains an open question. Know your Miami Beach Vice Mayor Michael Góngora, Group 3. Please click here.